This delightfully beautiful accent pillow is an addition to your home. 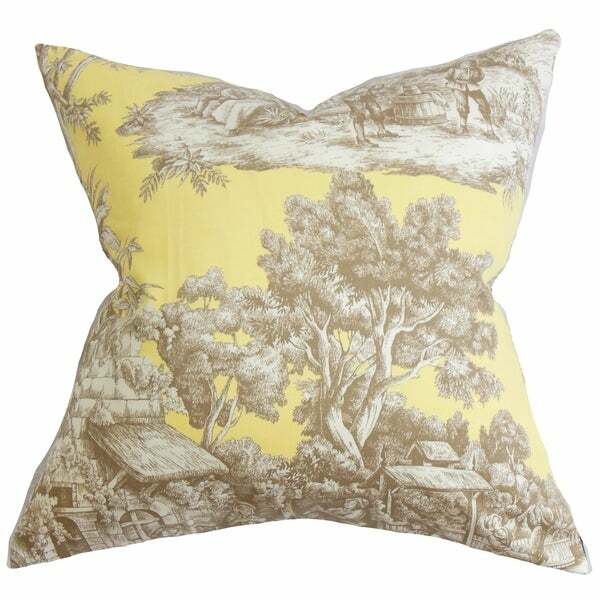 This square pillow features a toile pattern in shades of brown and white printed on a yellow background. This pillow offers a timeless charm to your sofa, couch, bed or seat. Hidden zipper closure for easy cover removal. Knife edge finish on all four sides. Reversible pillow with the same fabric on the back side.